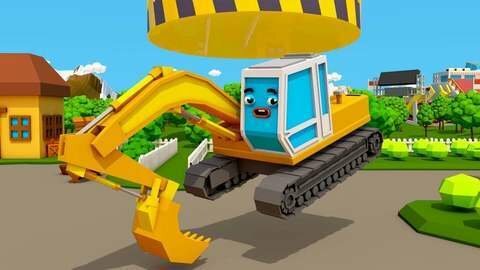 Watch how the Police Car and Tractor got stuck in a huge magnet in this car cartoon for children. Good thing the Excavator was there to push the red button and switch off the magnet. Also get to see the bad Monster Truck take the Tractor’s paint.More free 3D car cartoon awaits at SeeZisKids.com so visit them today.